There’s beginning to be a glimmer of hope that Thames Water may be slowly rethinking its position on Barn Elms. I met with the company’s MD this week and made it clear just how unacceptable the current proposals are for local people. There’s no doubt the campaign to protect Putney’s unique riverside environment is having an effect. Thames Water are now looking seriously at alternative sites and tunnelling options that would significantly reduce their requirements at Barn Elms. We’ll also be keeping up the pressure on ministers. I’m currently arranging a top-level meeting which would involve all the local council leaders affected by this project. Just as with the successful third runway campaign we will achieve so much more if we can present our arguments in a way that properly reflect the concerns of all the different interest groups. Heathrow remains a big quality of life issue for local people. The Civil Aviation Authority is currently looking at airspace strategy which could lead to changes in approach routes over Putney. New technology could mean that in future aircraft would always fly directly over the same properties. However the same technology could be used to give people respite by allocating more than one route for different parts of Putney..
As with any change there would be winners and losers but it would at least provide relief for the people affected in a similar way to that provided now by runway alternation. If these ideas are developed we’ll be calling for an open debate so that the full environmental impact of any changes are properly understood..
There’s some welcome changes afoot for the thousands of local people who use Putney station every day. Inside the station there are plans to open up the ticket hall area and install lifts to platforms. On the street outside the council is looking at ways of removing much of the clutter that makes this area so congested. The plan includes widening the pavement and making it easier for people to get on and off the buses that stop here. The overall impact would be to upgrade this section of the High Street. Finally the Boat Race takes place on Saturday, 26 March. This year’s event will be specially significant as it will provide an opportunity for us to get our message across to a much wider community about the threat posed by the current Thames Tunnel plans. Put the date in your diary now! 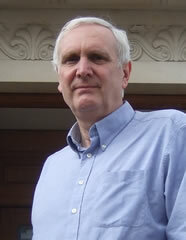 Edward Lister is the Leader of Wandsworth Council and a member for Putney's Thamesfield ward.